Peace Education Journal, Vol. 18, Feb. 2019 is dedicated to An Apostle of Peace Dr. Young Seek Choue in his perpetual memory. 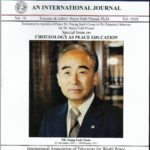 Choueology as Peace Education is based on the editorial written by the author of these lines for this Special issue of Peace Education Journal. 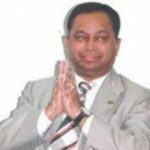 Considering the vast contributions of Dr. Choue in the areas of peace ideas, peace studies and peace activities, I would like to term them as Choueology that is synonym of Peace Education. Education as a discipline is cosmopolitan because there is no Chinese mathematics, Russian physics, American chemistry, and Indian biology; and as self realization is manifestation of perfection already in every man and woman everywhere without any discrimination, and hence education needs to be restructured universally based on spiritual secularism for kindness, tolerance and nonviolence. Though human beings evolved from primitive virus to modern Homo sapiens and highly developed scientifically and technologically but still at the primitive stage and barbarous in the sense of behavior and dealing with each other because vested interests in every civilization, misused the fruits of science and technology and used them for their own gains. Even if all nation-states adopt democracy, and promise for better governance to the people in their respective nations, they cannot do so individually. Because no nation can develop alone economically, scientifically, educationally even socially and culturally without the mutual help of each other, and for this, global governance is a must. We find three models for global governance, viz. Cross-national Organization, Supra-national Organization and Trans-national Organization. Peace education is not a set of predetermined values to be taught. True peace education is man-making education. Hence, it should be free for all leaving none, and in all. Peace education is perpetually self-learning, self-transcending and self-revealing knowledge and practice to be integral man. 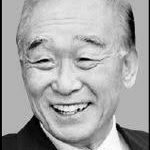 On the 8th anniversary of the death Dr. Young Seek Choue, 18 Feb 2018, the author would like to pay him his sincere and deep tribute by sharing his peace ideas, peace studies and peace activities, and his adherence to meet the criteria laid down in the Nobel’s Will. If the social, religious, political, governmental and non-governmental leaders, rulers, bureaucrats, judges, and several experts and specialists in the United Nations think and realize that they can solve the problem of violence and terrorism, they being elders and guardians must treat the terrorists and perpetrators as part and parcel of the society, and they deserve to be heard and listened. Science enables man to be free from the tyranny of the environment, but it fails to free him from the tyranny of his own nature. But its twin – the religion can complement in the role of science for making human beings free to be happy. When we do not obey the unjust law, we plead justice for humanity. Alexis De Tocqueville rightly says, “When I refuse to obey unjust law, I do not contest the right which the majority has of commanding, but I simply appeal from the sovereignty of the people to the sovereignty of mankind. Science has facilitated many things for human prosperity, but it has also helped to lose humanity’s peace of mind. Science alone cannot bring peace within the individual and in the world as a whole. It has led to unrest and war simultaneously with progress. The Conference Organizing Committee invites members from Academia, Administration, Research and Corporate Fraternity to participate in the deliberations by submitting research papers, articles, review studies, case studies on the themes/sub-themes of “Peace Education for Good Governance and Non-Violence” from 24 to 26 October, 2016. Education in all and education for all is a must for good governance and peace. Education in all means education in all the five elements (viz. body, vitality, mind, intellect and spirit). Education for all means all men and women, young and old, rich and poor leaving none. Executive Vice President of International Association of Educators for World Peace Keynote Speech at the Kerala State Convention on the theme: Education for Tolerance and Peace. On the eve of National Unity Day on 31 October. Peace education based on universally inherent five elements, viz. body, vitality, mind, intellect and spirit in every man and woman everywhere without any discrimination should be for all including for parents, teachers, current peace educators, preachers, rulers, representatives of people, bureaucrats, judges, lawyers, personnel in army and police departments and other professionals, and all minor and adult who have no access to educational institutions for natural preparation and practice of good governance leading to nonviolence. 21 Jun 2015 UN International Day of Yoga – At the beginning of the ‘UN International Year of Yoga,’ let all people of the world be aware of the five elements within them and grow integrally through perpetual practice of skill of yoga for sustainable nonviolence. We find the history of terrorism and violence since the beginning of human civilizations. In every violent act, there is terror, fear and threat as experienced by its victim, similarly in every terror attack there is violence, fear, threat and terror. The International Women’s Day started from the activities of labor movements in the beginning of the twentieth century in North America and across Europe. The Socialist Party of America designated 28 February, 1909 to honor the 1908 garment workers’ strike in New York. In 1910, the Socialist International, meeting in Copenhagen, established a Women’s Day, international in character. 10 December is celebrated annually across the world to honor the UN General Assembly’s adoption and proclamation, on 10 December 1948, of the Universal Declaration of Human Rights. On the Eve of United Nations Day, 24 Oct 2014 – The United Nations needs peace education for sustainable peace and security, but not the current one teaching predetermined values through knowledge, attitude and skill. Peace education ought to be based on universally inherent elements: body, vitality, mind, intellect and spirit in all men and women everywhere without any discrimination. Here I would like to enlighten the people, especially those who are not aware, about the beginning of the UN Day and Year of Peace before to start to write on the theme of the event – “The Mother of Peace yet to be born”. I advise the teachers of our nation and the world to consider themselves as learners leading to the formation of sustainable genuine democracy, performance of good governance and practice of nonviolence. , “May we both (the teacher and the taught) attain fame together” as cited in Taittiriyopanishad. Prof. Prasad has developed his own concept of peace education, which is based on universally inherent five elements, viz. body, vitality, mind, intellect and spirit, in every man and woman without any discrimination. The author dedicates this article to all women of the world on the eve of UN International Day of Peace. Dr. Prasad advises to foster in education and women an essential portion of our perception of life with fearless enthusiasm for improvement of the moral and physical state of mankind by profound and sound education for women’s freedom and against women’s sequestration and war. This article of Prof. Prasad is on the eve of UN Day of Human Rights which annually falls on December 10. The job of conscientization to the citizens and people of the different nations of the world about their rights can be done very successfully through the knowledge and practice of peace education leading to global peace. Peace education is education of man (humanity). It is the manifestation of an integral culture of body, vitality, mind, intellect and spirit. These elements constitute every man and woman without any discrimination of race, caste, creed, language, nationality and other differences.